The GE Security 350CX Smoke Detector has been discontinued. No direct replacement is available. This photoelectric smoke alarm is ideal for use in single or multiple station applications. The low profile of the unit lends itself well for use in residential occupancies, including hotels, motels and dormitories. 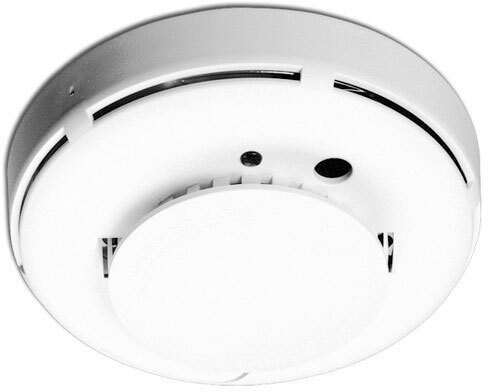 The 350CX Smoke Detector is compatible with existing ESL 320 Series wiring and up to twelve units may be interconnected for tandem operation. When any unit in tandem senses smoke, all the units sound an alarm.